HaPe International is the maker of a great line of all natural bamboo games that were developed by designers, teachers, and technicians from over 15 different nations. I have personal experience with these games, and I can say with certainty that they make wonderful Christmas presents! Last year for Christmas, my husband picked up a really neat game called Cagola from HaPe International. 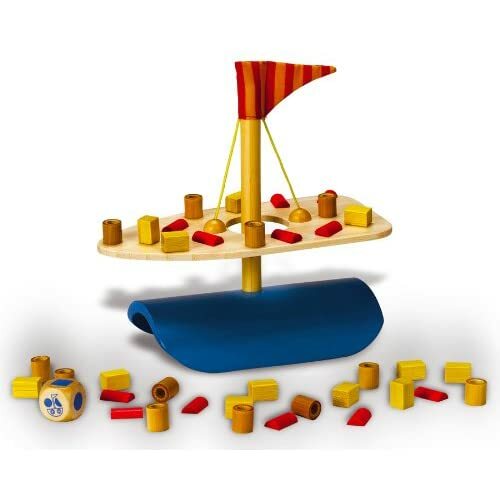 The parts fit together to look like a ship, and each player takes a turn rolling the dice and placing pieces on deck. The goal is to keep the deck balanced. It’s a lot harder than it looks! When someone inevitably knocks pieces off or upsets the whole deck, then he or she is out of the game. Out of all the presents my kids received last year, Cagola is the only one they still play with frequently. I love that the pieces are well made from 100% natural bamboo. Unlike so many of the games and toys my kids have, I can see this one lasting for generations. Cagola is recommended for ages 4-99. 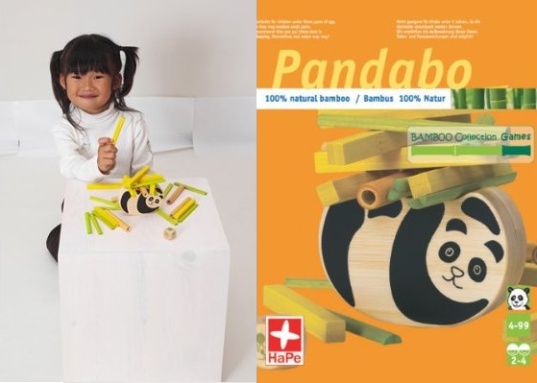 In addition to Cagola, HaPe International’s Bamboo Collection boasts several very unique and fun games that kids are sure to enjoy for years, maybe even generations! Pandabo is a balancing game like Cagola, but instead of balancing pieces on a flat deck, players try balancing on top of a fairly round panda! Either way, it’s sure to be a blast! Pandabo is recommended for ages 4 and up. Fiesta teaches color and shape matching as well as helping kids improve their dexterity. Players have to choose the right color and shape pieces and get them onto their skewer before anyone else does! 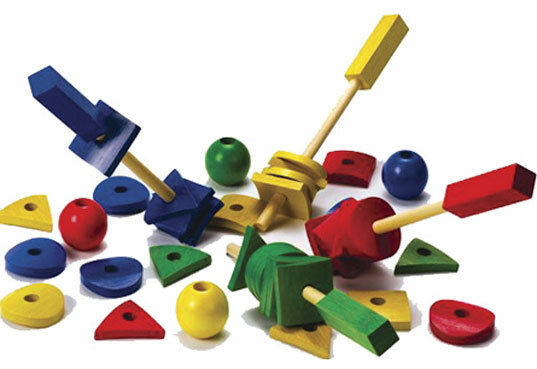 The set comes with four skewers and 40 shapes in four colors. Fiesta is also recommended for ages 4 and up. Contina consists of 120 colorful, natural bamboo tiles for hours of open-ended fun. I think this will be the next in the Bamboo Line that my family purchases! I can hardly wait to see what my kids dream up with this set! Contina is recommended for kids 3-6 years. Bialo is an interesting game that involves moving your animal around the board by launching it off a tiny springboard. This helps children learn fine motor skills, and cause and effect. Plus, it looks like tons of fun! Bialo is recommended for ages 4-8. 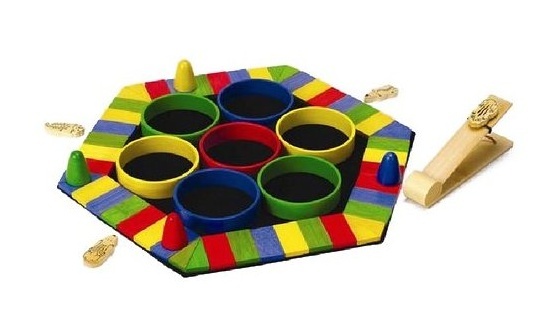 Because of a possible choking hazard, these games are best for kids over the age of three. For a smart, eco-friendly present, I highly recommend the Bamboo Collection from HaPe!